Because who wouldn't feel like a king in those chairs. We think so. The live-in landlord has created a funky and well-equipped home. You will have a spacious bedroom with your own TV. But the living room comes with a huge flat-screen TV and sound system. Want some fresh air? 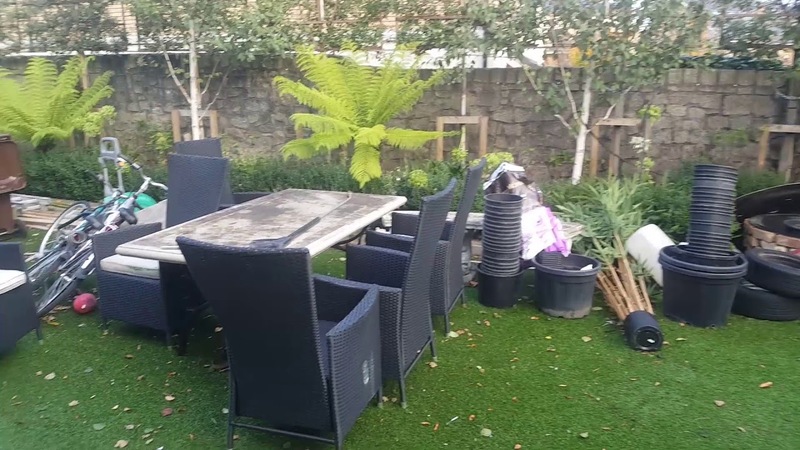 The lush garden is set up for you to lay out or sit and have a nice meal. We think if you enjoy hanging out in your room but like to mix it up and move around the house, this is the spot for you. Sit. Lay. Swing. In the garden, you can do it all. That bathtub looks worth trying. You will never feel alone with the landlord's friendly dog running around. The room is available to postgraduate students and professionals only. “I really loved this property. Nice location and nice landlord." This is a 2-bedroom house with a room available to rent is full of unique decor and modern amenities. You will have access to the cozy living room, equipped kitchen, and large back garden. A young professional or postgraduate students looking to save a little while still getting comfort will love this house. Rolling out of bed and not hitting a wall. Reading a book out on the garden. Taking a bath after a long, hard week. If you've never had a pet, here you'll finally have a dog (He is not allowed upstairs). The room can only be rented by postgraduates and professionals only. The friendly landlord is in his 30s.